With the adoption of the Manila Call to Action (MCA) for ASEAN MSMEs, all 10 ASEAN Governments, including the Philippines, are called to pursue affirmative actions for MSME development. Adopted at the ASEAN MSME Development Summit on 14 July, the MCA strongly urges all ASEAN Member States (AMS) to dedicate fund to power programs and initiatives on MSME development. “True to its name, the document is a call to action. 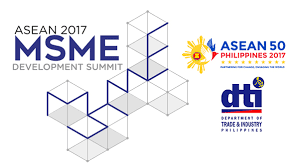 We rally to purse 7Ms for MSME development and to translate our aspirations into deliberate actions at the regional, national and local levels,” said ASEAN Economic Ministers chairman and Trade Secretary Ramon Lopez. The trade chief refers to the 7Ms, namely, mindset, mastery, mentoring, money, machines, markets and models. The 7Ms is the holistic MSME development strategy proposed by the Philippines to drive shared prosperity in the region. “What we are discussing in our local engagements is now receiving regional attention. This is only indicative of the regional applicability of our grassroots efforts to help MSMEs move up in life,” he added. The MCA has been concluded with the collective efforts of the private sector, civil society and government from across ASEAN, bringing together knowledge, perspectives and experience in growing MSMEs. According to Sec. Lopez, MSMEs must be full participants and beneficiaries of the economic dynamism that the current ASEAN integration brings. To this end, MSMEs’ role and contribution in attaining inclusive, people-centered ASEAN must be further strengthened. Said outcome document has subsections that purposely pertain to the 7Ms. On mindset, mastery and mentoring, the MCA calls on integrating entrepreneurship values and skills in the educational system spanning all levels. A convergence mindset in all government entities that recognizes the centrality of MSME development is envisioned. “An all-of-government approach for MSME development is needed across all ASEAN Member States,” Sec. Lopez said. On money access, the MCA reiterates the importance of setting up alternative financial instruments to better serve MSMEs’ financing needs. In this regard, an appropriate regulatory framework to govern institutions shall be created. Financial literacy and management for MSMEs should also be intensified. On machines, the MCA stresses the importance of establishing research and development centers, improving the government’s assistance programs and providing more platforms and opportunities for knowledge sharing on non-proprietary machines and technologies. A unified ASEAN digital marketplace is aspired to reach MSMEs beyond national borders. To boost market access, the MCA also calls to ensure quality compliance to sustain global competitiveness of ASEAN products and services, as well as to widen linkages of MSMEs to the regional value chains. “We advocate for the promotion of social enterprises, highlighting the community-based approaches to enterprise development, said Sec. Lopez, adding that the inception of an ASEAN MSME starter kit map that compiles different business models for MSMEs is crucial. “We should not wait for growth to trickle down. The MCA is set to pave the way towards region-wide prosperity that is powered by our MSMEs, thus spurring growth from the bottom of the pyramid,” he concluded.